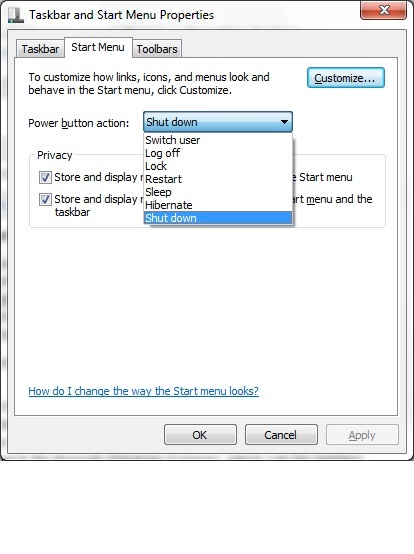 Work through customization options to tweak the Windows 7 Start menu so that it's optimized for you. 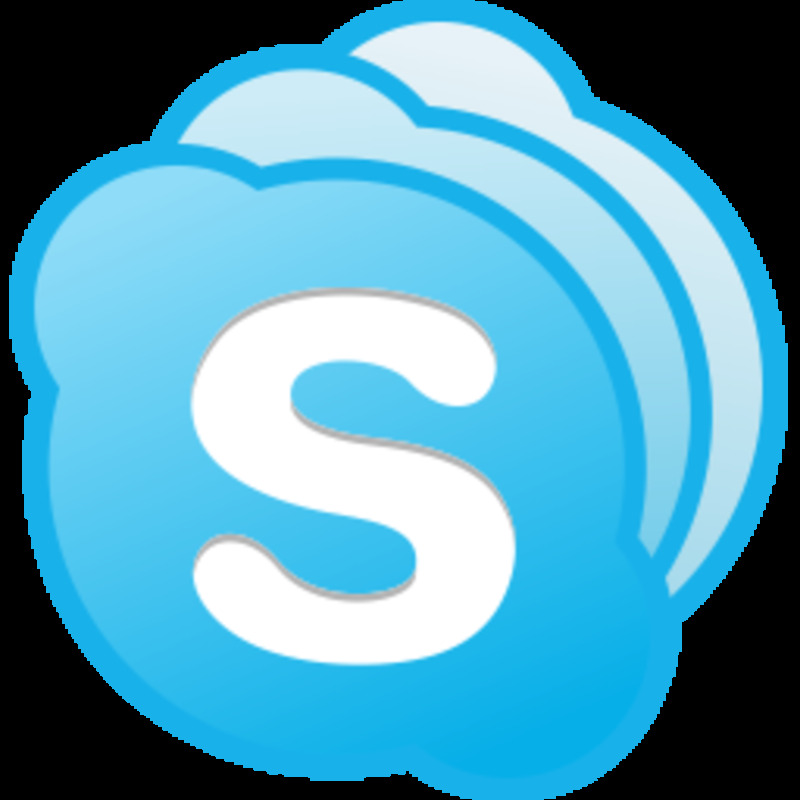 You can change the icon size, pin programs to the Start menu so they'll always be there, add the Run command, adjust how the Shut Down button performs, modify what folders are displays and how they act, and even move the Start menu. Common problems with Netflix on the Xbox 360 include content being displayed as temporarily unavailable, videos being pixelated or blurry, and the application simply not responding. Learn how to improve your streaming Netflix experience. Click the Windows orb on the Windows 7 taskbar and then click "All Programs." Navigate to the launch file for the program you want to always be displayed on the left side of the Start menu. 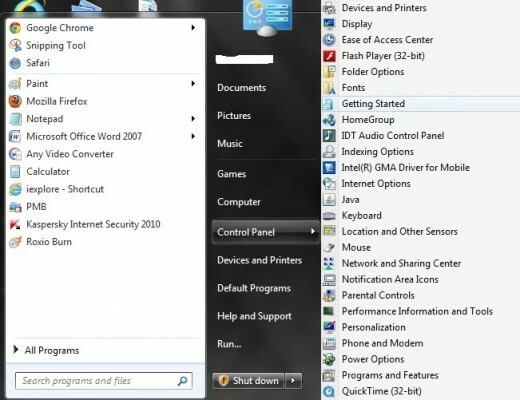 Alternatively, if the launch file for the program you want to pin to the Start menu can't be found in the Start menu, you'll have to navigate to the launch file through Windows Explorer, which can be opened by double-clicking "Computer" on your Windows 7 desktop. Right-click the launch file and then click "Pin to Start Menu." The program will now appear in the top part of the left side of the Start menu, separated from the recently-run programs by a gray line. Repeat this process for any other programs you want to pin to the Start menu. You can change the order of the pinned programs by clicking, dragging and then releasing them in front of or behind other programs in the pinned section. 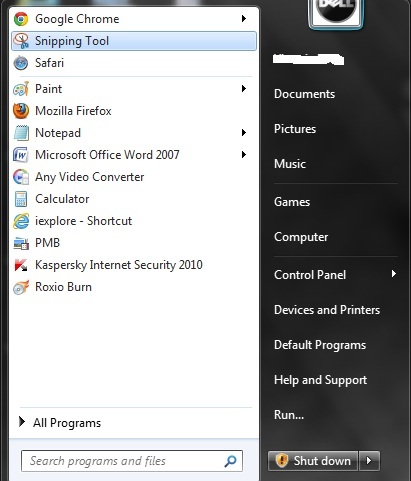 Remove a program you no longer want to be pinned to the Start menu by right-clicking that program and then clicking "Unpin from Start Menu." Right-click the Windows orb on the taskbar and then click "Properties." 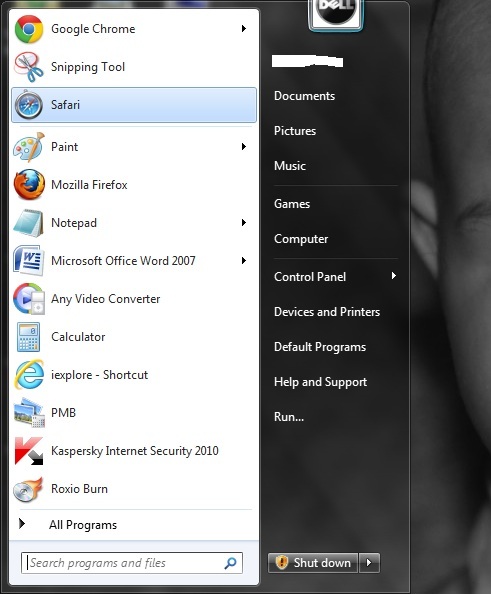 The Taskbar and Start Menu Properties dialog box is displayed. Select the Start Menu tab and then click "Customize." The Customize Start Menu dialog box opens. Scroll down to "Use large icons." 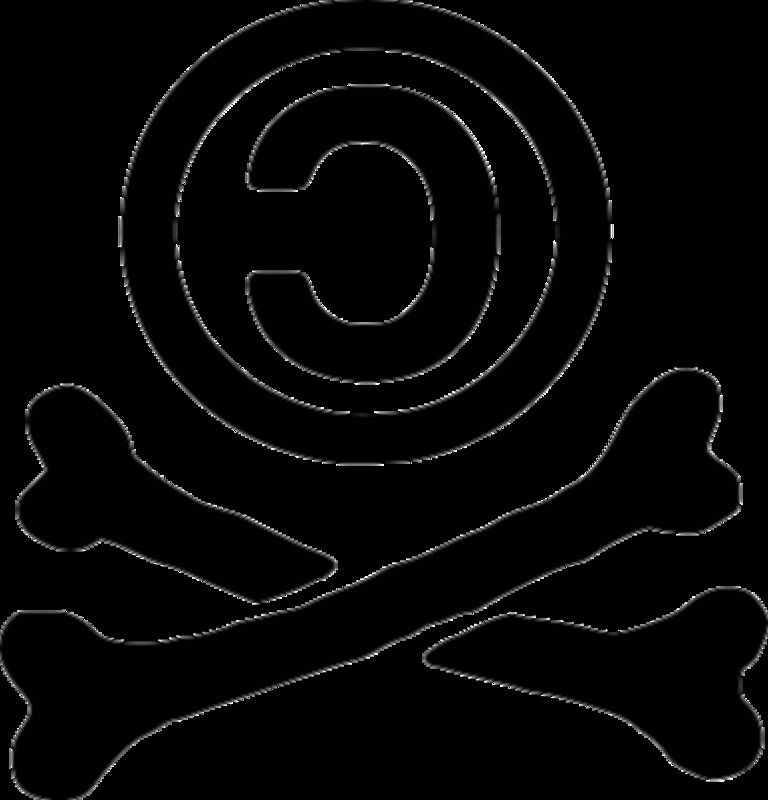 Click to uncheck the context box to the left of "Use large icons." 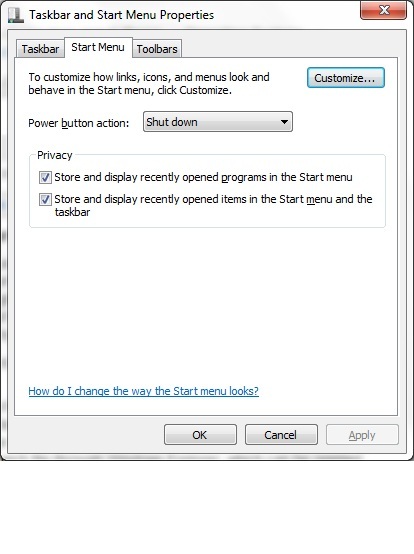 Click "OK" in the Customize Start Menu dialog box; that dialog box closes. Click "Apply" and then "OK" in the Taskbar and Start Menu Properties dialog box to apply your changes. Click the Windows orb on the taskbar to open the Start menu and view your changes. You can reverse this change at any time by navigating back to the Customize Start Menu dialog box and then clicking to check the box to the left of "Use large icons." Click the drop-down arrow to the right of "Power button action." Select the action you want the Power button in the Start menu to perform when you press it. Bear in mind that this doesn't affect what happens when you press the physical Power button on your laptop, but just the pixelated Power button in the Start menu. After making your changes, click "Apply" and then "OK" in the dialog box to save your changes. Scroll down to "Run command." Click to place a check in the context box to the left of "Run command." Click the Windows orb on the taskbar to open the Start menu. The Run command appears at the bottom of the right side of the Start menu. You can reverse this change at any time by navigating back to the Customize Start Menu dialog box and then clicking to check the box to the left of "Run command." Learn how to track where your Blogger blog's visitors are from, when they visited, how they got to your blog, what page they landed on and how they left your blog by adding the Feedjit live traffic widget. Learn how to block Gmail Chat contacts from seeing when you're online and from being able to send you messages. Additionally, learn how to hide contacts you don't talk to so you can free up space for the contacts you talk to regularly. Scroll down to the name of the folder you want to modify. If you want to change how a personal folder acts in the Start menu, you have to change how all of the personal folders react, which is done through the "Personal folder" option in the Customize Start Menu screen. Beneath the name of your folder you'll see three options: "Display as a link," "Display as a menu" and "Don't display this item." 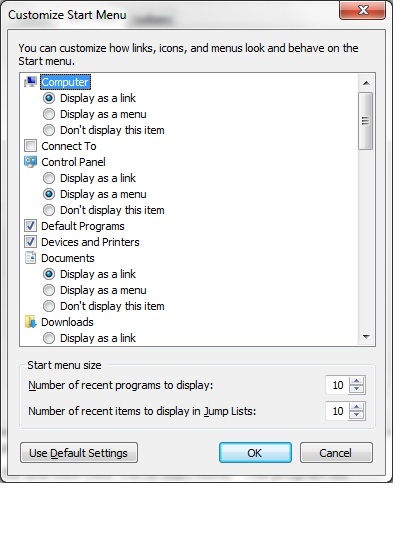 Selecting "Display as a link" opens the folder in Windows Explorer when you click it; selecting "Display as a menu" displays all of the folders or files in a context menu next to the folder when you click it, similar to how All Programs is set up; and selecting "Don't display this item" means the folder won't be displayed in the Start menu. 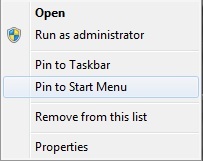 Right-click an open are on the Windows 7 taskbar to open a context menu. If "Lock the taskbar" is checked, click to remove the check mark and unlock the taskbar. Position your cursor over an open area on the taskbar and then click and hold down the left mouse button. 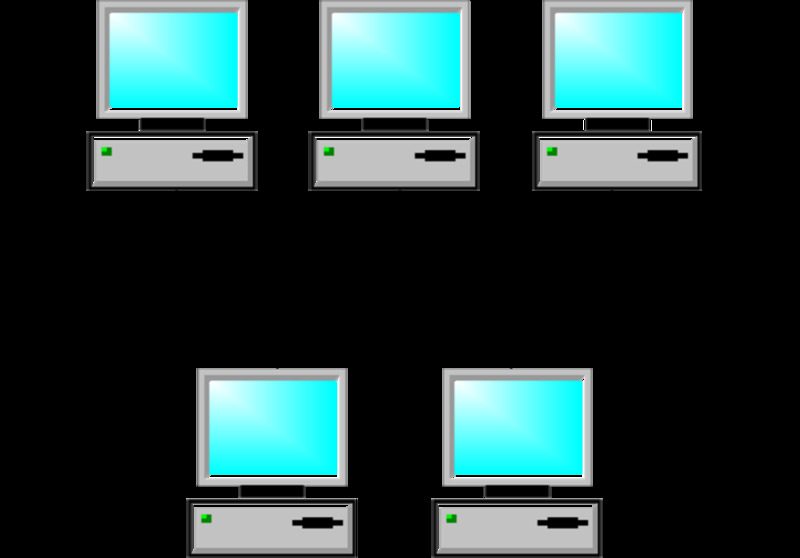 Move your cursor to any of the four edges of your screen. The taskbar will position itself on the edge of the screen you're closest to. Release the left mouse button when your taskbar is positioned where you want it to. Windows 10 Upgrade: Got Questions? Get Answers! Really useful article. Thank you!